Vicki Acres is a renowned technical expert Solicitor in the clinical negligence field. For over twenty years’ Vicki has worked extensively on maximum severity and complex clinical negligence claims. She is particularly keen to continue to develop the firm’s established record in birth injury and cerebral palsy cases, for which Jobling Gowler retains a Legal Services Commission franchise to provide Legal Aid funding. 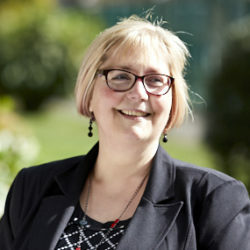 Vicki has a particular interest in claims involving children and adults with cerebral palsy, birth injuries and acquired brain injury, as well as claims involving cancer. Over the years she has helped many individuals and families to the successful conclusion of their claims. She has recovered many millions of pounds in compensation for her clients. With excellent attention to detail, Vicki is a formidable litigator. Yet, she ably balances this with a caring, approachable and empathetic manner with her clients. Vicki’s clients can be assured of ongoing support during their claim.